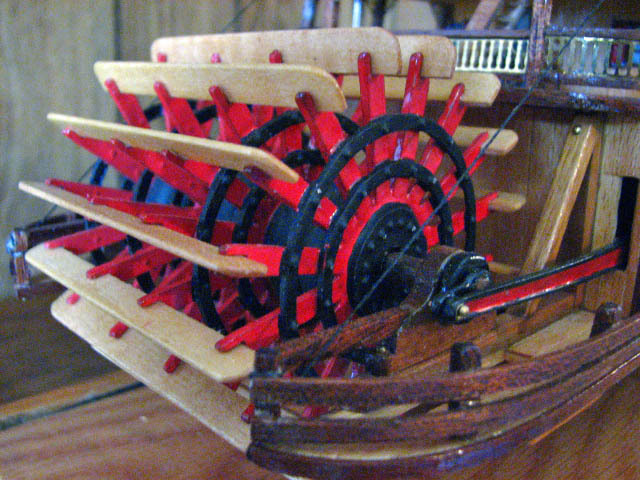 Model Boats - click here! Find photos of model boats, as well as links to model boat websites. These pages are just for fun. There may be no significance to these pages. But a steamboat site that is all work and no play is not worth building! Stanley Steamboat of Sacramento - a short story for children, written in 1999 for the Sacramento Reads Festival. Online Steamboat Races Steamboats.com, Steamboats.org, and Steamboats.net held an imaginary competition every summer since 2001. Find out what it's all about. Freshwater Aquarium Care This is a page of simple guidelines for a happy freshwater aquarium. The Truth about Tree Topping learn the right way to trim a tree. Improper trimming can permanently damage a tree! Student Writing on the Housing Market Bubble In REA 281 & 282, instructor Nori Muser (your webmaster) asks students to explain what happened in the housing market in the 00s. You will not believe how smart the students are! Most of them already worked as real estate agents or appraisers through the 2000's. REA 281 & 282 are requirements for the appraiser certification program. Steamboats.com Animated Clipart Collection free clipart from back in the day when people put these funny animated gifs all over their websites. Sit out on the deck If you've never sat on the deck of a real steamboat, watching the river go by, you might get an idea of what it's like at this page. Jokes These are some pretty old jokes, mostly from around 2000. Steamboat Shop visit the onboard giftshop. Nori Deco Nori is in charge of research, planning, and development for Steamboats.com. Here's how she gets her inspiration. Betrayal of the Steamboats a possible future book . . .